In the summer of 2012, Gabriel Byrne found himself back home in Ireland, not on vacation, but working. His hair was long, his mustache was full, and the furs and leather he wore must have been hot and uncomfortable (except when it was raining!). Was it strange to look in the mirror in the make-up caravan and see a Viking leader staring back? Mr. Byrne’s role as Earl Haraldson was short-lived–only 6 episodes–but he set up the story of Ragnar Lothbrok’s origins and rise to power beautifully, while also making the Earl live and breathe in all his angsty, angry, violent glory. Full marks go to writer and creator Michael Hirst, of course, who gave the Earl two critical story elements that moved the character past any cardboard villain. First, the Earl was a man shattered by pain and loss, experiences that influenced his decisions and his ideas about the future. And second, Hirst gave the Earl a partner worthy of a Viking leader: a strong, intelligent, scrappy wife, Siggy, with whom he could share the responsibilities of leadership and, when it suited him, foment nefarious plans. 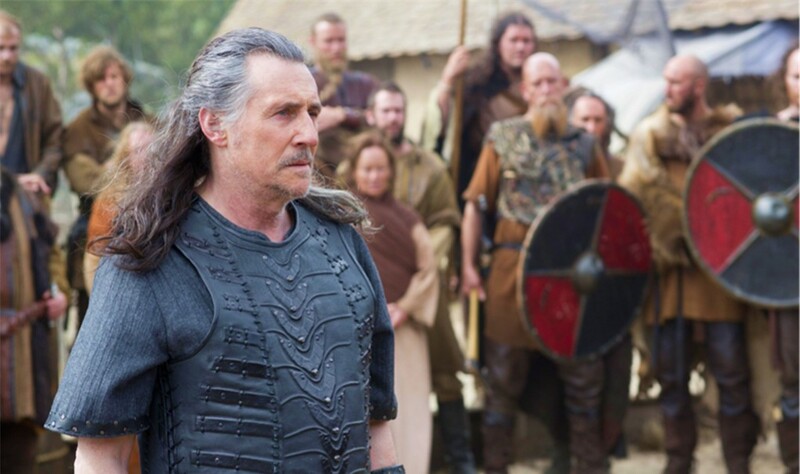 As a result, Earl Haraldson is indeed the inflexible obstacle Ragnar must overcome, but he is also a complex man we can recognize: conflicted, scheming, afraid, powerful, tender, violent, honorable. 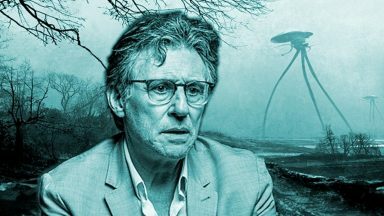 And he comes to life on the screen because Gabriel Byrne made him real. The Vikings Mega TV Page is an homage to the Earl. Production stills and screencaps are really big, befitting this larger-than-life character. Several videos provide insight into the story and its making. 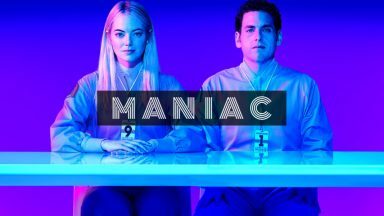 And there are interviews, reviews, and more for this first season of what turned out to be a very popular series. So get your Vikings on and fear not! 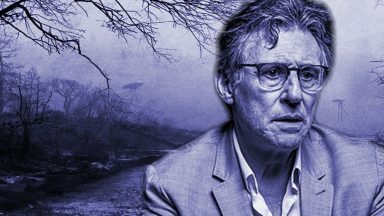 Season 4 (minus Gabriel Byrne, sad to say) has been green-lighted! IrelandJessalyn Gilsigmega TV pageMichael HirsttelevisionThe History ChannelTravis FimmelVikings!